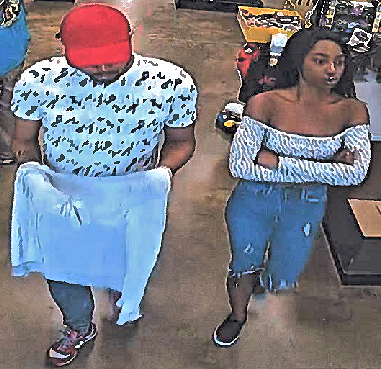 The St. Mary’s County Sheriff’s Office is seeking the identity of the persons pictured for theft. On Monday, October 1, 2018 at approximately 1:50 p.m., the male suspect removed a BB gun from its packaging and placed it under his shirt. He then used the female suspect’s jacket to cover the bulge as he walked out of the Ace Hardware store in Charlotte Hall without paying for the BB gun. 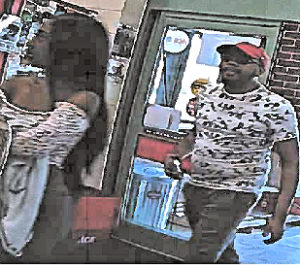 Anyone with information about the identity of the suspects or this incident is asked to call Dep. Courtney Edwards at 301-475-4200, ext. *8003 or email Courtney.Edwards@stmarysmd.com. This entry was posted on November 5, 2018 at 6:24 pm and is filed under All News, County, Crime Solvers, Law Enforcement, More News, St. Mary's News, St. Mary’s County Crime Solvers, z Police Ad Bottom, z Police Ad Top. You can follow any responses to this entry through the RSS 2.0 feed. How did such a gorgeous woman end up with a piece of trash like that? Guess she’s a fool for a well-armed man. And they wonder why we watch them when they come into our stores! dont be dumb, hes talking about the guy wearing an xtra small chic fil a shirt. what kind of fashion is this? People who wear matching hats and shoes or capris. It ain’t no thang, dog. He a good boy and you don’t know his struggles. He jus need that BB gun for a armed robbery he planning, feel me? You know who “them” is!!!! It’s T H E M!!! The 12 percent responsible for 55 percent of the murders! 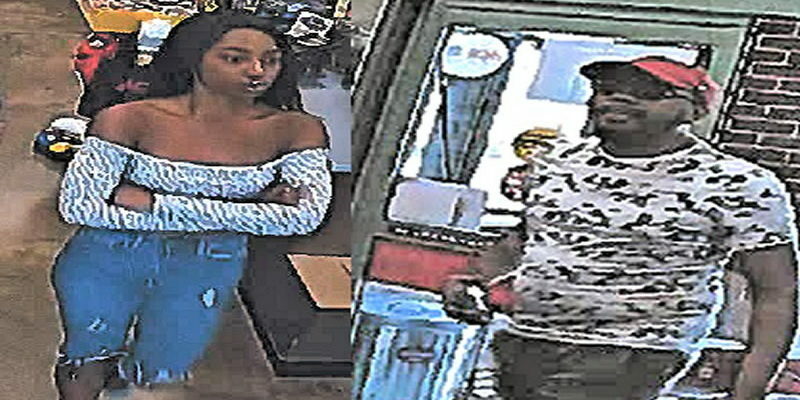 Funny, I don’t see one whyte face, the known thiefs of Southern Maryland. You can’t even spell it! Oh no they dont look suspicious or anything!! Smh…a damn BB gun. GET A JOB!! LOSERS!! WOW !!! SHE IS HOT!! WHO IS SHE? Correction, she was hot until she made the decision to be a POS thief. That made her really ugly on the inside. One day her outside looks will fade but being a crook will follow her for the rest of her life. Looks like she is homeless by the rags she has for clothes. A side kick to a THIEF!! Do you REALLY wanna know her? While she’s distracting you he’ll be stealing from ya!!! This comment section stinks with the desperation of lonely men! Give me a break. Look how his hands are covered and Ace has door security alarms. Like the cashier didn’t know something was set off. Has the SWAT and ATF been notified yet? DON’T WAIT! This could be serious. Everyone get on your BB-proof vests! Put the base on full alert! So if he points it in your face and demands your wallet, you’ll tell him to p!ss off then? Is that how it will go, tough guy? I’m guessing that you’ll be the one p!ssing your pants staring down the barrel of the BB gun. You’ll probably also Raneisha Jones in your pants. They’re not from St. Mary’s County. They should run the story in Charles and Prince George’s County. Maybe even the district.